Digital Library - Communication Plaza | Yamaha Motor Co., Ltd.
An archive of vintage videos and Yamaha Motor publications. This newsletter was published for distribution to Yamaha motorcycle dealerships in Japan. Publication began four years after the founding of Yamaha Motor Co., Ltd. and initially it featured news primarily about new Yamaha Motor products, regional events and news about the race scene that was so popular then and still today. Later, keeping in step with Japan's era of high economic growth, its contents were expanded to include news about trends in the Japanese and overseas markets, details about marketing promotions and topics from other industries, etc. It was published for half a century and delivered throughout Japan as a communication tool linking Yamaha and the dealerships or the dealerships themselves. Looking through the back numbers of this publication provides volumes of information about people's lives and the types of motorcycles launched in each era of these five decades and the changes they underwent. We hope you will enjoy the views these issues provide of the changing times, in the photographs, illustrations, the layouts and graphics. 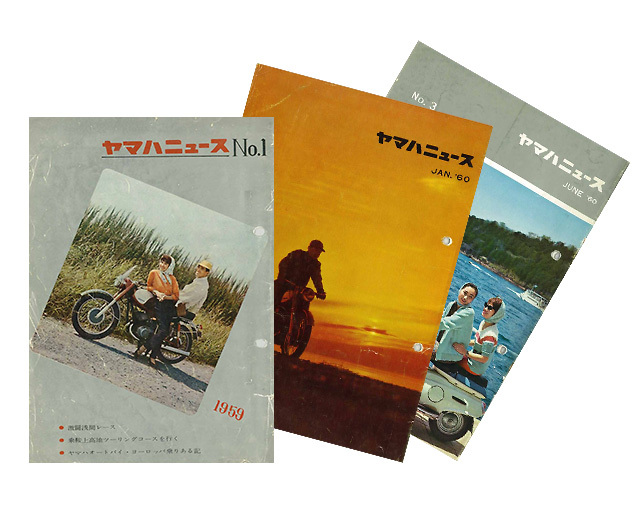 Publication of this newsletter began in 1966, seven years after the start of publication of the Japanese version, and it targeted sales companies and distributors dealing with Yamaha Motor products in North America, Europe and other parts of the world. 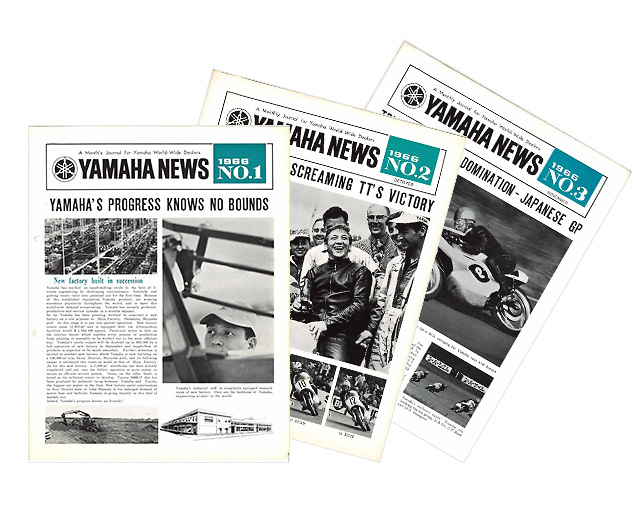 When it was first published, it contained mainly reports about regional races and events and information about Yamaha motorcycle and marine products in an era when people waited eagerly for the arrival of whatever news they could get—so unlike the real-time information-packed world of the internet since the turn of the 21st century. 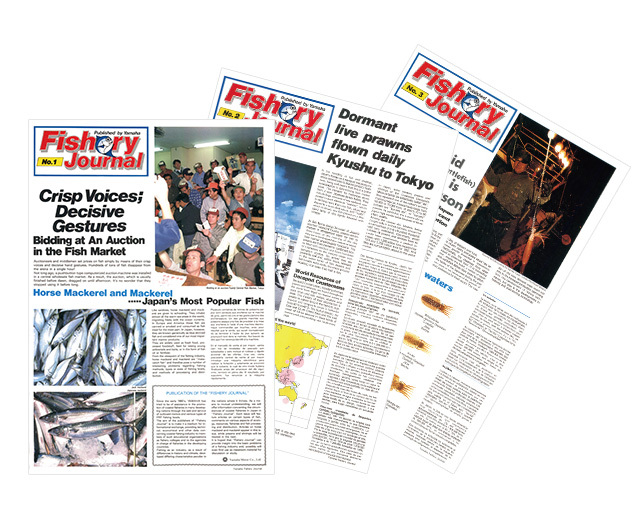 This is an information periodical that was handed out to people involved in coastal fishery in developing nations. It won acclaim for its contribution to the development of coastal fishery and was eventually collected by national agencies and even institutions like the British Museum. It introduced the coastal fishery methods in Japan at the time, how to process catches for distribution, how products were sold in stores and seafood recipes, complete with illustrations and photographs. 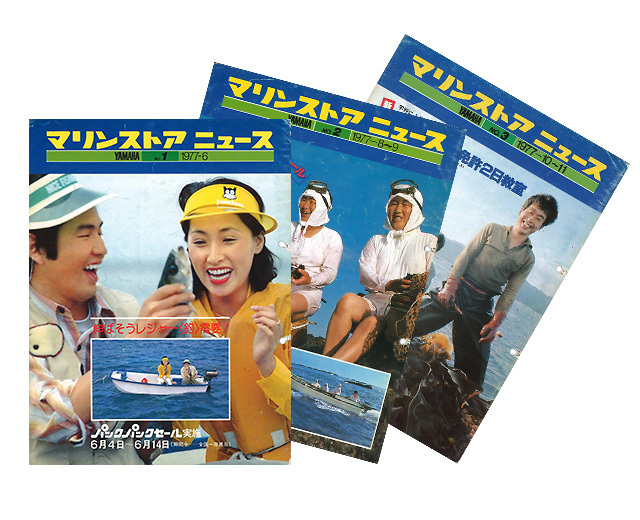 Today these publications also offer a glimpse of life in waterside communities and the clothing and customs of the Japanese at the time. This is a 2010 video report of a classic motorcycle race held on a public-road course in Imatra, Finland.